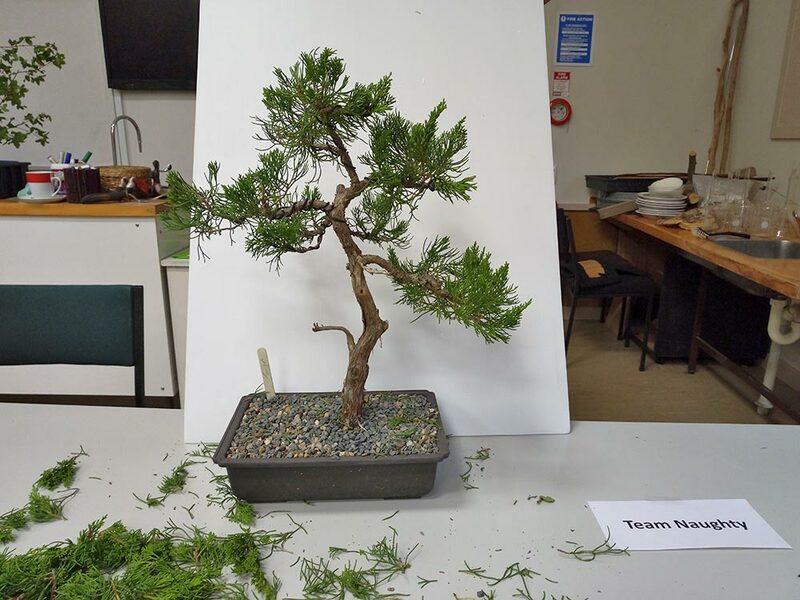 Welcome to the New Year of the Hamilton Bonsai Club. You should have received your Newsletter, thanks to Peter M.
Our February meeting is next Sunday the 10th. Held at the St. Francis Church Hall, 92 Mansell Ave., Hillcrest . If for any reason the upper carpark is full, don’t forget there is another carpark in front of the Church, just off the Morrinsville road close to the traffic circle. Starts at 2:00 with a short business meeting, then the fun begins with the topic workshop – making your young Bonsai tree look like an old one. Below is a reminder of what to bring, from Les. The main feature of this meeting will be a workshop recreating an aged look from young material. As this will be a workshop we need every body to bring along a tree or trees plus your tools plus wire if you have it. The focus will be on creating an aged look from young material. Look for something that is suitable. Pencil thin trees will not do. I will give a brief introduction. However I would like you to think about how we achieve this aged look before the meeting and I might even ask a few questions to see if you have thought about it. Wiring is one way in which an aged look can be achieved. Sandra will take the lead on the wiring part. Whilst the emphasis will be on this topic if you have a tree that does not fit the theme or if you want advice on any of your bonsai bring them to the meeting. And I also suggest you bring your own mug for coffee or tea, which will taste better than in the styrofoam cups and create less trash! In place of the usual Show and Tell, the display is to show Summer Disasters and Successes. Each person bringing one can give a brief synopsis of what happened or what worked. Marshall will be bringing the Library, hopefully with two new books if they arrive in time. A reminder you can view the complete Library listing on our webpage. If you want to take out or see a book or magazine, you can request it from me via email and Marshall will make sure it comes to the meeting. This also applies to the books and magazines in the list that are not normally brought to meetings. With the National Convention coming up, I also strongly suggest you learn a bit more about the guest artist, Suthin Sukosolvisit. Check out his website – www.suthinbonsaistudio.com or Google his name and scroll through the offerings of video clips and more.